who have been stewards of this land since time immemorial. Delta, BC is located only 20 minutes south of Vancouver but has a small community feel. It is comprised of the three distinct communities of North Delta, Ladner, and Tsawwassen separated by the largest urban park in North America: Burns Bog. Delta is home to six golf courses, many parks and trails, and lots of beaches and shoreline to explore. Delta is also one of the most affordable cities in close proximity to Vancouver. The Delta School District’s vision is to be a ‘leading district for innovative teaching and learner success’ and our mission is ‘to enable all learners to succeed and contribute their full potential to the future’. 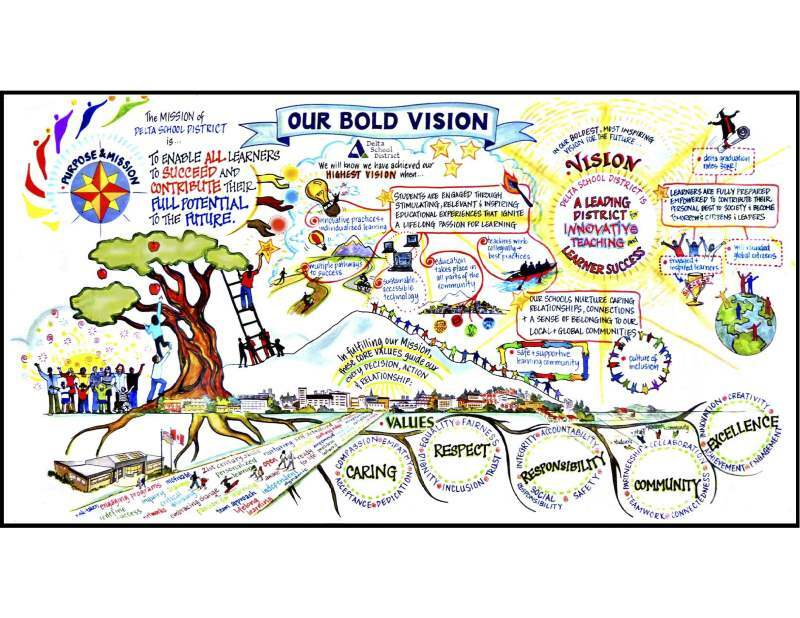 Everything we do in the Delta School District goes through the lens of our mission and vision statements. We are committed to providing engaging and innovative professional development for our teachers so that they can help their students meet their full potential. Our schools have built-in teacher collaboration time that allows for collaboration within and between schools. Our internationally recognized teacher mentorship program invites teams of mentors and protégés to collaborate and work together on developing their pedagogy. Each of our 31 schools uses a collaborative professional inquiry cycle to guide professional learning and improve student learning. To support this, each school has a staffed Coordinator of Inquiry that helps shape school’s inquires, and facilitate networking across the district. We have a widespread technology program for our teachers with many hands-on technology workshops and laptops for all teachers working .30FTE or greater. Delta is a small school district that focuses on building strong relationships with all of our staff, students, parents, and community. As we have focused on our mission and vision in which we believe all students will graduate with dignity, purpose and options, we are proud that the Delta School District regularly has graduation rates for all of our students that are at the top in the province. We really do enable all learners to succeed and contribute their full potential to the future! Visit Delta School District’s booth at the Ed Talent Job Fair on April 26th and contact Devon Frame, devonf@makeafuture.ca, to learn more about job opportunities.